An injury has forced welterweight Justin Edwards off the UFC London fight card; stepping in to face Icelandic rising star Gunnar Nelson is returning UFC vet Jorge Santiago. A Russian-born German is out and an American with a French name is in for the UK's upcoming show. Dennis Siver has suffered an injury and been forced out of the co-main event against Cub Swanson. 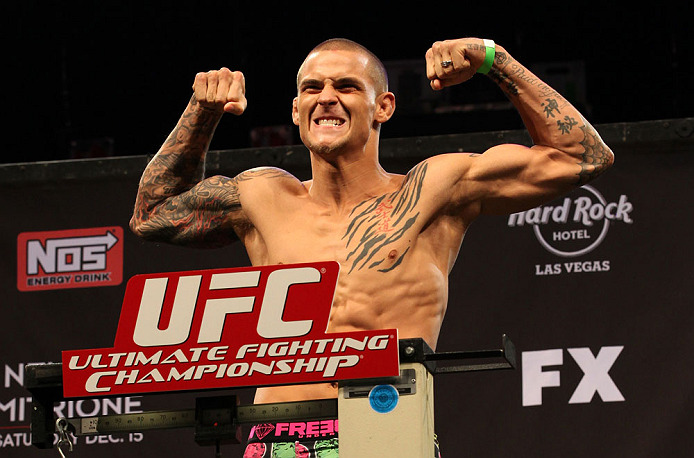 But fans of exciting featherweight bouts will not be left hanging, as the dynamic and dangerous Dustin Poirier has verbally agreed to step in to fight Swanson. Middleweight Stanislav Nedkov will put his unbeaten record on the line in February when he faces Southampton's Tom "Kong" Watson at UFC London. Both men have verbally agreed to the bout. The UFC announced today that knockout artist Cub Swanson and German bulldozer Dennis Siver will meet in the co-main event of February's event in London. Both men are riding impressive victory streaks and a win inside Wembley Arena could well make a title case for either featherweight. Also on that card, 6' 6" French light heavyweight Cyrille Diabate will face England's own Jimi "The Poster Boy" Manuwa, who's coming off a dominant TKO of Kyle Kingsbury in September. update: At welterweight, Iceland's undefeated Gunnar Nelson will look for his eleventh straight stoppage win against TUF 13's Justin Edwards. Plus, power-punching light heavyweights Ryan Jimmo and James Te Huna will clash in a battle of Canada vs. New Zealand. The Ultimate Fighting Championship returns to London, England on Saturday, February 16, and the organization announced seven bouts for this stacked card on Thursday, including the interim bantamweight championship fight between titleholder Renan Barao and challenger Michael McDonald. Tickets are on sale now, and if you're Stateside and won't be able to make it to England, the card will air in the US on FUEL TV.